Bill is a friend and a superb landscape photographer. He has long been known for his wonderful and thoughtful color nature photography. 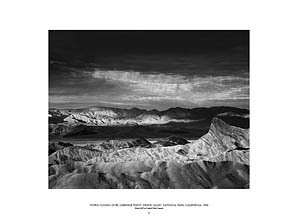 He takes a journey into classic black-and-white nature photography with his new e-book, Meditations in Monochrome. Yet this is not a retro, back-to-Ansel sort of photography. 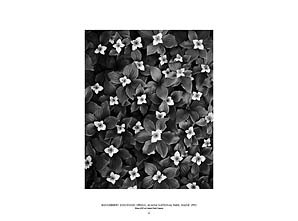 Meditations in Monochrome truly does offer a new look at nature through Bill’s discerning eye now turned to black-and-white. This is a beautiful book to go through and use for your own meditations on nature. "Bill Neill has explored B&W as a way of expanding his creative vision. He’s no novice to monochromes, either - his essay in the e-book explains it all, and the pictures are exquisite! The light is absolutely luminous in many pictures. Bill’s monochromes prove that, under all the seduction that color provides in a picture, there still has to be strong composition, design and contrast for an image to work." 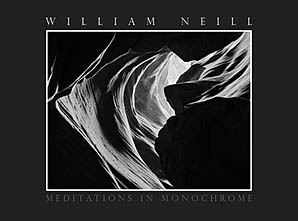 "...Meditations in Monochrome was a very pleasant surprise for me. Not only does Neill carry over his excellent composition skills but his processing and presentation, ...are simply superb. Equally surprising to me was the experience of appreciating fine photography in an ebook format...The ebook images are of very high resolution and quality and, when expanded to fill a high quality screen, look very impressive ...It is fascinating to see how some of these images are not only converted but transformed when presented in monochrome, taking on a completely different mood." I am happy to announce the publication of my new ebook, Meditations in Monochrome, in digital form. Although the great Black and White masters, like Ansel Adams and Edward Weston for 35 years, have inspired me I have pursued color landscape photography with a passion since college. However, with the use of Photoshop conversions to BW from the digital scanning of 4x5 film as well as digital capture, I am revisiting the roots of my photographic inspiration. This ebook includes an essay where I write about my early study of Black and White, my favorite BW masters, my job at The Ansel Adams Gallery, and the techniques I use for my conversions. I selected 52 photographs for this digital portfolio, ranging from classic western landscapes to intimate details of nature. Locations include the coast of New England, the deserts of the Southwest and my backyard in the Sierra Nevada mountains. The selection covers a wide span of my career, with photographs dating from 1982 to many recent digital captures created as recently as 2008. The book was designed in Adobe InDesign with file sizes that have been optimized to preserve the high-resolution images files. The quality of the images comes to life on our modern computer monitors. I know that this isn’t the same tactile experience of holding a book in hand, but it’s hard to dismiss the vivid quality one can enjoy on screen. 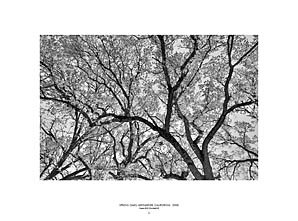 Meditations in Monochrome - Digital Edition is delivered as a PDF file. The book can be viewed one image at a time so you can enjoy the full impact of the photograph. You can also set Adobe Reader to view a book style presentation, seeing the pairings I have created.